As the vibrant greens of summer give way to glints of gold, the Church has blessed us with a bounty of saints' day celebrations, each one flickering like a candle in a long procession marching ever onward toward the great feast of All Hallows on November 1. 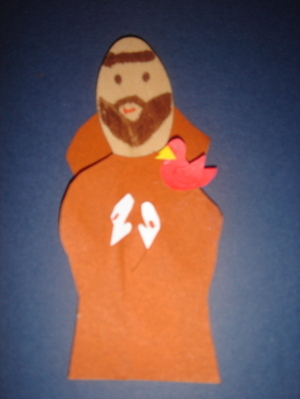 This week alone, we rejoiced with the Archangels, St. Padre Pio, St. Therese of Lisieux, the Guardian Angels, and now St. Francis of Assisi. In the coming days and weeks, we will pray to Our Lady of the Rosary and give thanks for the lives of St. Faustina, St. Gerard Majella, and St. Margaret Mary Alacoque, to name but a few. As with all works of the Spirit, the timing of these feasts is no accident. October's flood of festivities calls the saints to our minds and hearts each and every day, inviting us to pause and ponder these great souls as the perfect preparation for All Saint's Day. A collection of these small and simple saints would make a pleasing and kid-friendly display for the Feast of All Saints. Just imagine what your children could create if they collected these for a year! 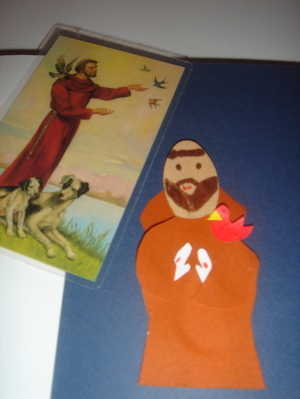 And as long as we are discussing Saint Francis, I thought you might like to see the statue and craft awaiting our homeschooling group for tomorrow's feast--Franciscan miniature birdhouses. 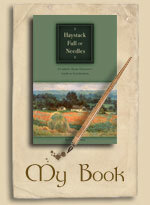 Hopefully, I will have photos of the finished product to share with you soon. She's baaaack -- in full swing! I love the craft, it's so clever and sweet! As usual, your presentation is so wonderful! You're my inspiration! That is the cutest thing I have ever seen!!!!!! It's still and hour and a half until the craft store opens... 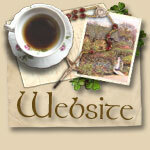 I'm not sure I've commented before, but I do love your site. Thanks for the great ideas. 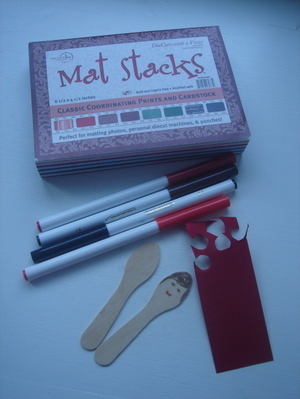 I now know what to do with that pack of large craft sticks I found myself inexplicably drawn to buy a few weeks ago! There are no coincidences, indeed! Thanks so much for the lovely ideas. Your creativity never ceases to amaze me. Thank you fo taking the time to share your ideas with everyone else. 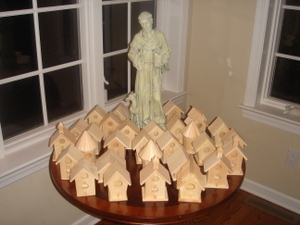 Cannot wait to see the Franciscan Bird Houses, they look pretty sweet unadorned and grouped about St Francis, actually! You are an inspiration. I think it is safe to say that a book on celebrating the liturgical year by Alice would be a bestseller!!! You're the best, Alice. I love your craft ideas - such an inspiration. oh this is so great! I can't wait to try this. Wow -- I wish I had some ice cream spoons today!! My kids would love this. I am instantly inspired for the children to make a parade of saints---a garden of saints---a flood of saints---a community of wooden ice cream spoon saints! Hands down, this is absolutely the most precious idea! I love the ideas. 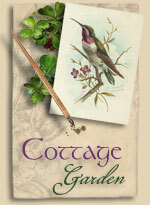 Please post pictures of the finished bird houses. Sorry...I don't get around here often enough Alice. But I was so glad to click in here today and see all the craft pictures! Mommy, I liked the post, and I made the birdhouse. It was fun! 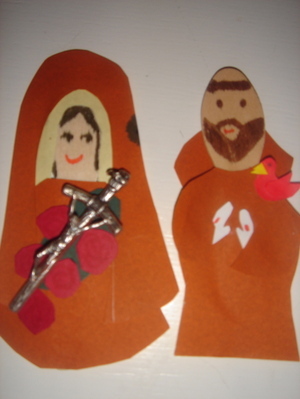 What a wonderful idea to celebrate all the special Feast Days leading up to Nov. 1! Thank you so much for sharing! 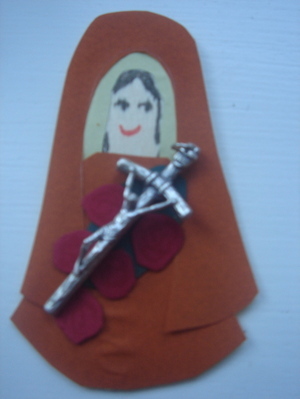 Adore your spoon saints and want to do them as a craft at our All Saints Day party. 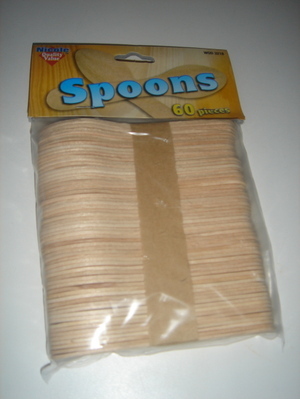 Where did you find your spoons and how long are they? Thank you for such a wonderful idea.